The Spring 2018 release from Salesforce is live and once again there is A LOT to digest for users, administrators, and developers. The 55th release from Salesforce became generally available to all users on Monday, February 12th. As a Salesforce user, you may or not even realize there are new enhancements that are available for use. Perhaps that requested feature or functionality you have been asking for magically made it to the top of the list, or a challenge you often encountered has corrected itself. It could be a result of the new Salesforce spring release. 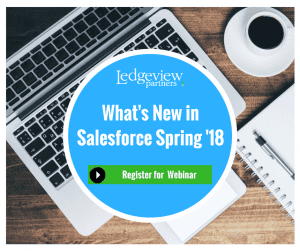 What does the Salesforce Spring ’18 Release have to offer? Here is a snippet from the Spring ’18 Release Preview on Salesforce that can help you blaze new trails to customer success. Spring ’18 provides greater productivity benefits with Lightning Dialer Call Monitoring and Macros in the Lightning Sales Console. And now with Einstein Forecasting (beta), trade guesswork for accurate forecasts at the rep, team, and company level, enabling your teams to work smarter and faster in Sales Cloud. Spring ’18 brings you more productivity and customization features than ever before. Save valuable time with features like Quick Actions in Lightning experience and New Workspace components, letting your reps focus on more important tasks. And with more Field Service Lightning capabilities, ensure your field reps have all the information they need from anywhere at anytime. Spring ’18 helps customers get smarter about targeting the right customers. With features like new Journey Templates and Journey Builder Advertising, be confident about not only creating the right journeys, but also easily combining email, mobile, and Facebook Advertising directly into them. Expanded Lightning features in Spring ‘18 help Admins and Developers quickly and easily build and collaborate throughout the Salesforce Platform. With new Lightning productivity features combined with intelligence features from Einstein Analytics, rest assured you’re using the smartest and most productive platform in the market. 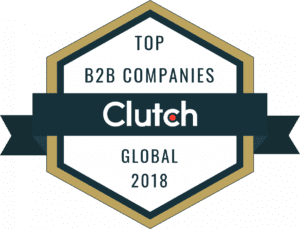 Finally, trust remains our #1 value as we have prioritized new General Data Protection Regulation compliances across the entire Salesforce platform. How do you find out about all the features available with the Spring ’18 release? You can visit www.salesforce.com/spring18 for a TON of resources that includes a 485-page PDF of the release notes, 55 demo videos (at last count), summary preview notes, and much, much more. If you want to know what Ledgeview’s certified experts are excited about, join us for our upcoming webinar where we will focus on top features you should take advantage of to blaze new trails to success at your organization. Now Available On-Demand – Watch! If you cannot attend the live webinar, register, and we will send you a link to view the presentation on-demand after the live session is complete. If you have questions about the Salesforce Spring ’18 release, need support, or update assistance please Contact Us and we are happy to answer all your questions.